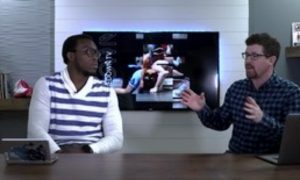 Earlier last week we talked a how many big matches were on the horizon for the weekend and overall they did not disappoint. While Daton Fix (Oklahoma State) vs. Nick Suriano (Rutgers) was a dud, there will still plenty of great matches and incredible performances. 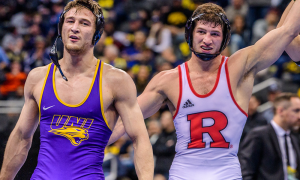 Here are the ten top performances of the week in college wrestling. Even though the Bison fell to undefeated Pittsburgh 22-11, they did have a bright spot at the 157 lb weight class. 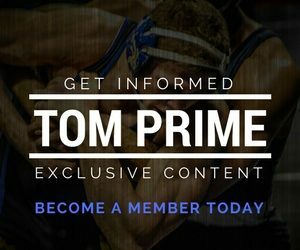 Luke Weber, a Nebraska transfer, made his home debut for North Dakota State and shocked 10th ranked Taleb Rahmani 10-4. Luke jumped out to a 6-1 lead on Rahmani and never looked back. This was only Weber’s second dual appearance of the year for NDSU; he dropped his first match to North Carolina at the South Beach Duals. He will be a name to watch going forward for North Dakota State. For the most part, the 2018-19 season has not been kind to Lehigh. 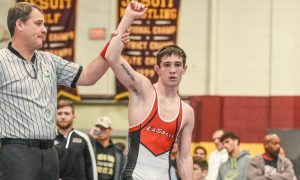 The Mountain Hawks entered the year with high expectations and a projected lineup that looked imposing in duals, as well as in tournaments. The injury bug hit hard and that ideal lineup had never materialized for head coach Pat Santoro. One of those wrestlers that missed some time early in the season was 149 lber Cortlandt Schuyler. Saturday EIWA-rival Cornell traveled to Bethlehem undefeated, ranked 11th in the country and ready for a third straight win over their hosts. The dual was all tied at 16 headed into the final bout of the night where Schuyler would meet Jonathan Furnas. Seven minutes were not enough and the match went to sudden victory where Schuyler registered the winning takedown. Not only did Cortlandt get his hand raised, but Lehigh took the dual meet, downing the Big Red for the first time at home since 2011. Since he did not compete at all in December and only came into last weekend with six matches under his belt, it may be easy to forget about eighth-ranked Mike Carr. The 2018 Big Ten runner-up made sure to remind fans not to sleep on him after going 2-0 during the Fighting Illini’s swing through Michigan. Friday Carr got a workmanlike 6-4 win over NCAA qualifier Austin Eicher (Michigan State). The next day he picked up his biggest win over the year by knocking off Kanen Storr (Michigan) 3-2. It was only the second loss of the year for Storr who came into the match ranked fifth nationally. Mike is now 6-2 on the year with his only two losses coming at the hands of third-ranked Jaydin Eierman (Missouri). 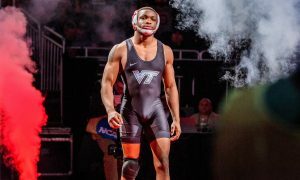 2018 All-American Sa’Derian Perry had his most exceptional weekend to date in an Old Dominion singlet. The Eastern Michigan transfer was a perfect 4-0 at 141 lbs for the Monarchs at the Virginia Duals. Perry started his tournament with a first period fall over Cory Simpson (Kent State), helping ODU advance to the semifinals. Next up was in-state rival Virginia Tech who had a true freshman Mitch Moore, that was on a hot streak of his own. Perry was able to get by with a 3-2 win, though his team fell into the consolation bracket. That set up a match with ninth-ranked Dom Demas (Oklahoma). Sa’Derian won another one-point decision 4-3 and handed Demas only his fourth loss of the season. In the fifth-place dual, Perry finished off his perfect tournament with a 7-4 victory over NCAA qualifier Chris DeBien (Chattanooga). Hopefully, you’ve seen the clip by now, Kaleb Young looked to be headed to his back against Steve Bleise in the 157 match during the Hawkeyes dual with Minnesota. The eighth-ranked Bleise had a body lock and had stepped through for a trip. Young was able to keep his balance and throw a headlock with sent the Gopher flying to his back for six points. That would prove to be the difference in the match, as Young took the victory by the score of 7-1. This was the first match of the dual and set the tone for the Hawkeyes dominating 24-10 win. Quietly, Christian Monserrat is putting together quite the season for first-year head coach Tim Flynn’s West Virginia Mountaineers. A 3-1 win over fourth-ranked Justin Oliver (NC State) on Sunday ran Monserrat’s 2018-19 dual record to a perfect 11-0. For the year, Monserrat has only lost three matches, one of which came to Oliver by technical fall 18-3 at the Journeyman Collegiate Classic in November. Since that event, Christian has not lost a match. 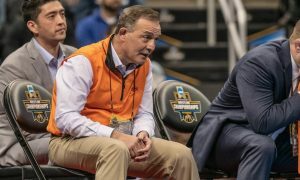 During that period, he now has wins over three former NCAA qualifiers (Oliver, Davion Jeffries – Oklahoma, Ryan Blees – Virginia Tech). Monserrat is a senior that, while he has never had a losing record for the Mountaineers, has yet to qualify for the NCAA Championships. Kyler Murray, who? 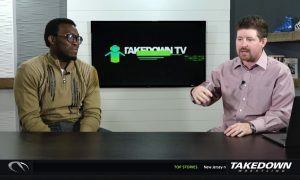 Less than a month ago, Josh Hokit was on the football field for Fresno State in their Las Vegas Bowl victory over Arizona State, putting the finishing touches on a season where he accumulated over 300 all-purpose yards and a touchdown, from the running back position. Since that time, Josh has already competed in 16 matches for the Bulldog wrestling team, winning 13 of them. None has been more significant than Sunday’s 4-2 win in sudden victory over Willie Miklus (Iowa State), the fourth-ranked wrestler at 197 lbs. Hokit already has a sixth-place finish at the Reno Tournament of Champions and a seventh-place finish at the Midlands under his belt in the 2018-19 season. I would expect that Hokit’s results will improve more towards the end of the season, as he works himself into wrestling shape. Over the first two and a half months of the season, Tristan Moran has been in and out of the national rankings. 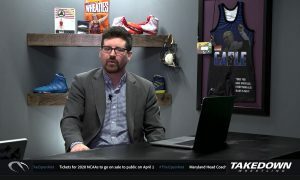 Over the weekend he has made his case to return after going 2-0 and handing Nick Lee (Penn State) his first loss of the season. 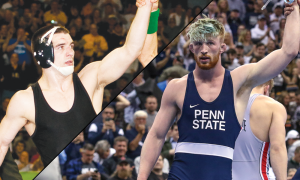 On Lee’s home mat in Rec Hall, Moran got into a shootout with the returning All-American and went into the second round of sudden victory with the score tied at 10. Moran used an ankle pick, then fought through a whizzer attempt from Lee to secure his winning takedown. Lee was the second top-ten win for Moran this season, as he pinned current number six Josh Alber (Northern Iowa) at the Cyclone Open. Moran’s weekend got off to a good start on Friday as he slipped by Peter Lipari (Rutgers) 8-7. 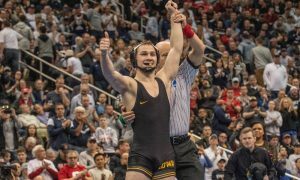 In one of the marquee, toss-up matches of Iowa’s dual with Minnesota, it was Austin DeSanto that came out on top at 133 lbs, knocking off eighth-ranked, two-time All-American Ethan Lizak. Not only did DeSanto control the action on his feet, as expected, he also chose bottom in the third period and ventured into Lizak’s best position. The move paid off as Austin not only survived, he earned a reversal which seemed to break the Gopher’s spirit and silence any thoughts of a late rally from Lizak. The final score of the bout ended up 6-1 in the Hawkeye’s favor. 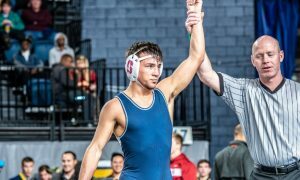 A win over an opponent like Lizak will likely propel DeSanto into the top ten of the nation’s deepest weight class. His record now stands at 11-1 heading into a meeting with Nick Suriano (Rutgers) later this week.